I love eggs. (Here's why they're great for runners.) Fried, scrambled, hard boiled, poached, and especially in Avocado Egg Salad -- eggs are always an awesome, inexpensive meal option, no matter the time of day. I got the idea to make soft boiled eggs after watching the finale of MasterChef Junior (those kids have skills!). I used to soft boil back when I was too lazy and unsuccessful to poach, but wanted a similarly delicious + gelatinous yolk experience. 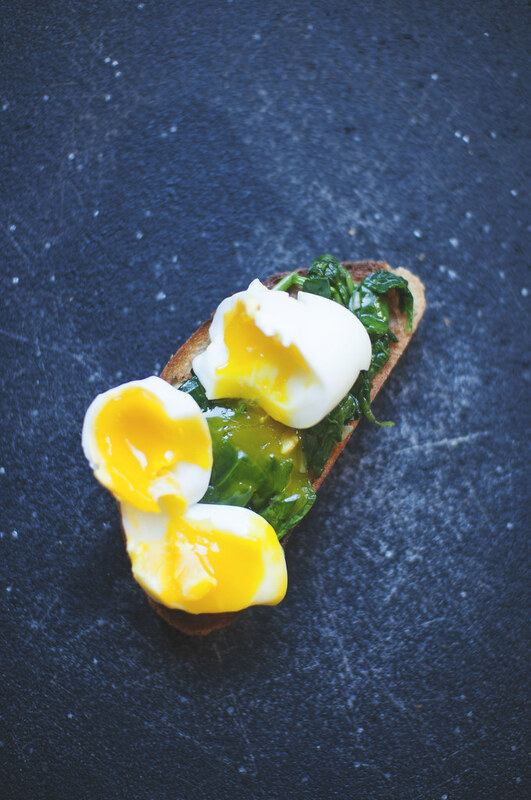 One thing's for sure: there's certainly a science to cooking eggs, and I get it wrong. Often. So, I practice. 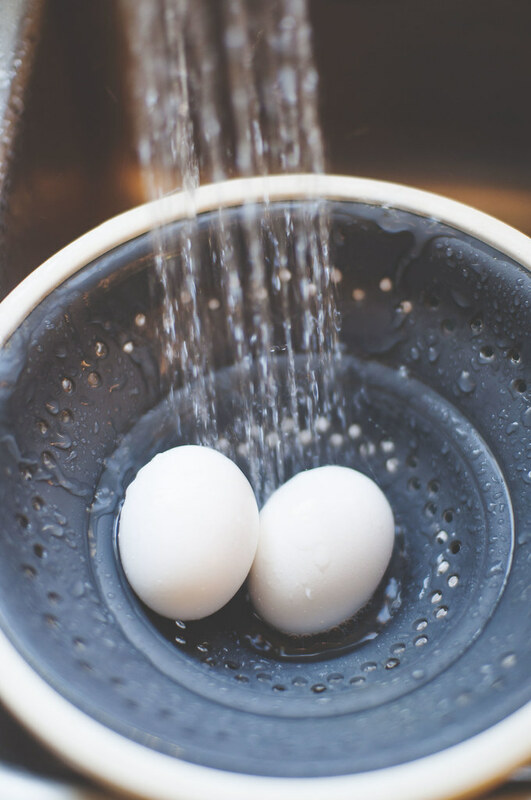 Bring a small pot of water (enough to cover eggs) to a boil + reduce back to a simmer. Gently drop eggs into the water one at a time. I usually make just two, but I've successfully done up to 4. Set your timer for 6 minutes. 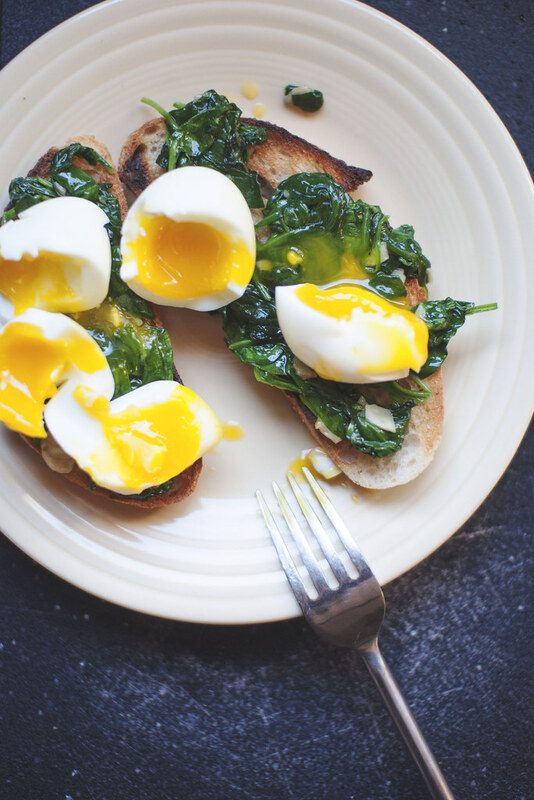 You could go for 5 if you like really runny and 7 if you're more into a harder/gooey yolk. Then remove promptly and place in a cool water bath or run under cool water for around a minute. This stops the cooking. You can then serve in those little egg cups, slice the tops off and dip your toast in the center. 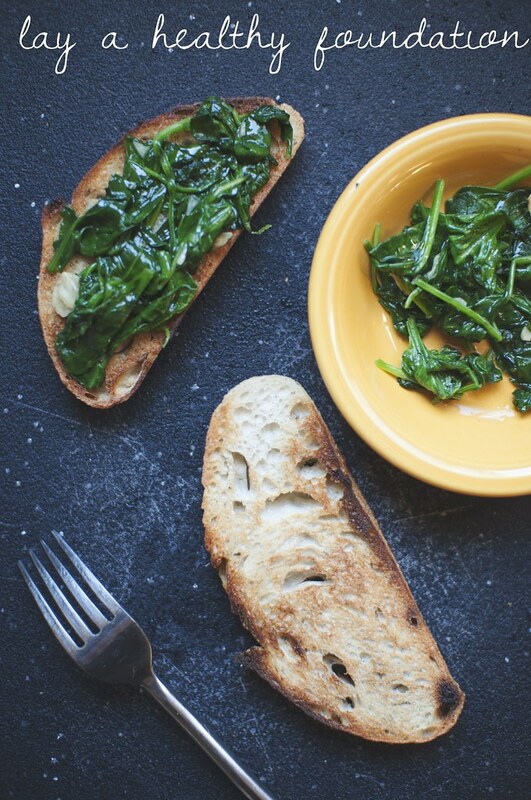 While I cooked my eggs, I toasted two thick slices of Rosemary-Salt Bread and piled high with some sauteed spinach (with garlic and olive oil). An egg atop each did the trick. May possibly be the best breakfast I've made in quite some time. I go through sweet versus savory breakfast trends, and lately I've been favoring the Bloody Mary over the Mimosa. I don't usually post breakfast on Fridays, so I suppose I'm taking part in Ashley's #bfastfridayclub! Hooray! 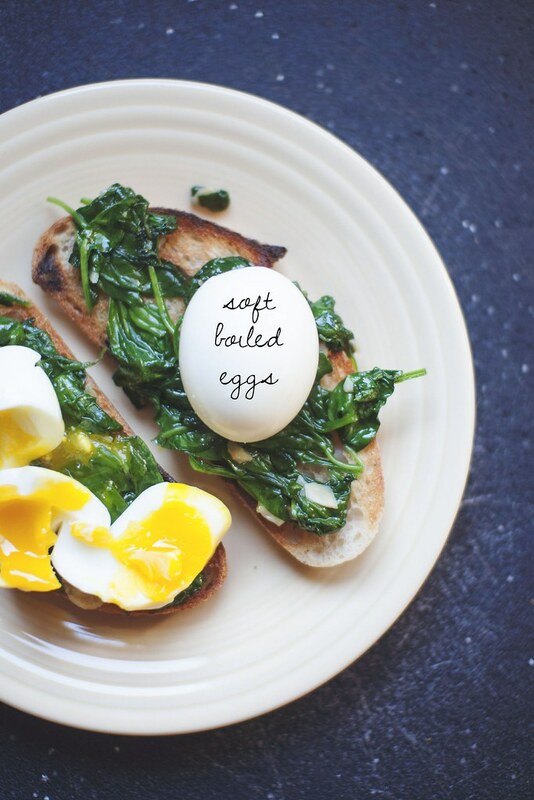 Go forth and make something delicious for your morning meal this weekend. Speaking of Ashley: The winner of the Baked Doughnuts for Everyone! giveaway is #73, Lynda. She writes: "Have made doughnuts before, but love to bake. Within the last few months was diagnosed as being Celiac, so anything that says YUM in front of GF is all the better for me now." Have a wonderful weekend. I have lots of things -- think vegetarian Thanksgiving brunch! -- in store for next week.